Railpictures.ca - Earl Minnis Photo: Only minutes into her trip, VIA 6446 leads Windsor to Toronto train 72. | Railpictures.ca – Canadian Railway Photography – photographie ferroviaire Canadienne. 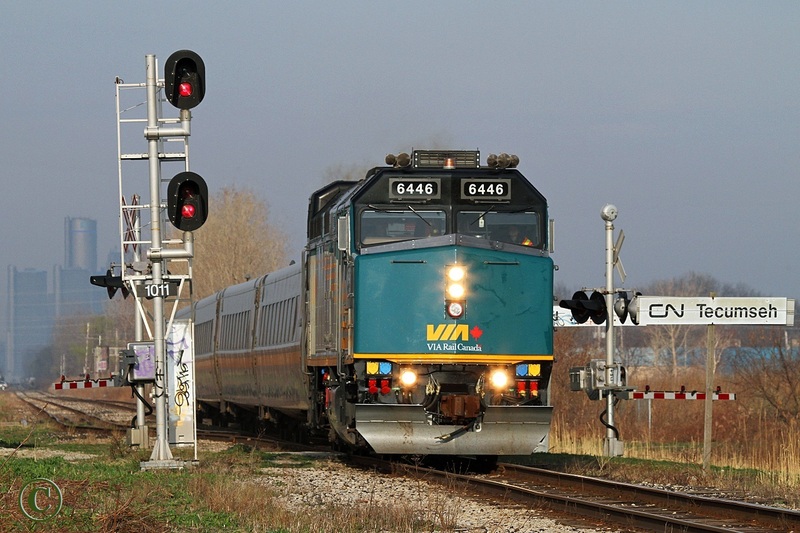 Caption: Only minutes into her trip, VIA 6446 leads Windsor to Toronto train 72.